The next show will be held on Saturday 3rd & Sunday 4th December 2016 at Collectors Corner Nursery at the Gardenworld Complex, Springvale Road Keysborough, Victoria. 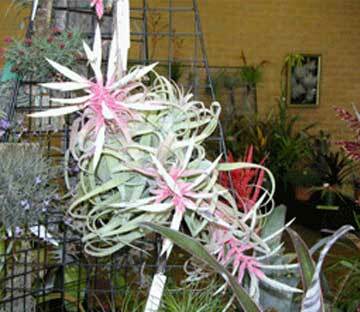 This show will be hosted by the The Bromeliad Society of Victoria and is held in conjunction with the Victorian Carnivorous Plant Society of Victoria annual show. For more information about The Bromeliad society of Victoria contact The Membership secretary, Maurice Kellett PO Box 612 Hurstbridge, Vic. 3099, Phone 03 9718 2887 or Email the journal Editor, Chris Larson .